I’m so excited to share my tutorial today because it’s such a simple solution for storing your full spools of beautiful Really Reasonable Ribbon. Don’t hide them away…keep them out so they’re handy and easy to find. But if you’re thinking to yourself….the spool is not as beautiful as the ribbon on the spool. But why shouldn’t they be??? Finish them off and add them to a pretty vintage bowl or tray and keep them right out on your work surface. Here’s a few resting in a pretty painted compote. Or line them up in a vintage tray. Maybe just stacked up a shelf…for pretty and practical decor. This process is SUPER SIMPLE and you can choose just the right images to match your creative space. First print out some images you love…for me..it’s gotta be pink and shabby. You can do a lot of mathing and print them out to measure exactly right……or…if you’re like me…just print them a bit big and trim the excess. Don’t worry if it’s not circular…just as long as your image is big enough to fit the size of the spool. I traced a rough circle around my spool…neatness does not count as you can see lol. Cut out your slightly too large image. The spools have a shiny surface….so you’ll want to use your Scor-Tape to adhere the image. Little strips around the outside work just fine. Tare off the paper backing of the tape and adhere the spool to the center of your image on the back side of course and trim the excess with small sharp scissors just following the outside contour of the spool. Now you can finish it off with ink and embellishments. I chose butterflies and a small tag. As you can see…I’ve gotten a lot of use from the Pink and Silver Gray Organza : ) Can you image how beautiful a big wire basket full of these vintage inspired ribbons spools would be??? I think I’ll be having a closer look at the selection of trims I can order on spools from RRR…so I can add to my collection . Some vintage images shown are from Ephemera’s Vintage Garden. Okay that’s it for my tutorial..I hope you love it as much as I do! Good morning all! I’m dropping in to share this Blue Birdie Birthday Card I created with a great blue and red color scheme, a blue birdie button card, glitter chipboard letters and layers of trims from Really Reasonable Ribbon. 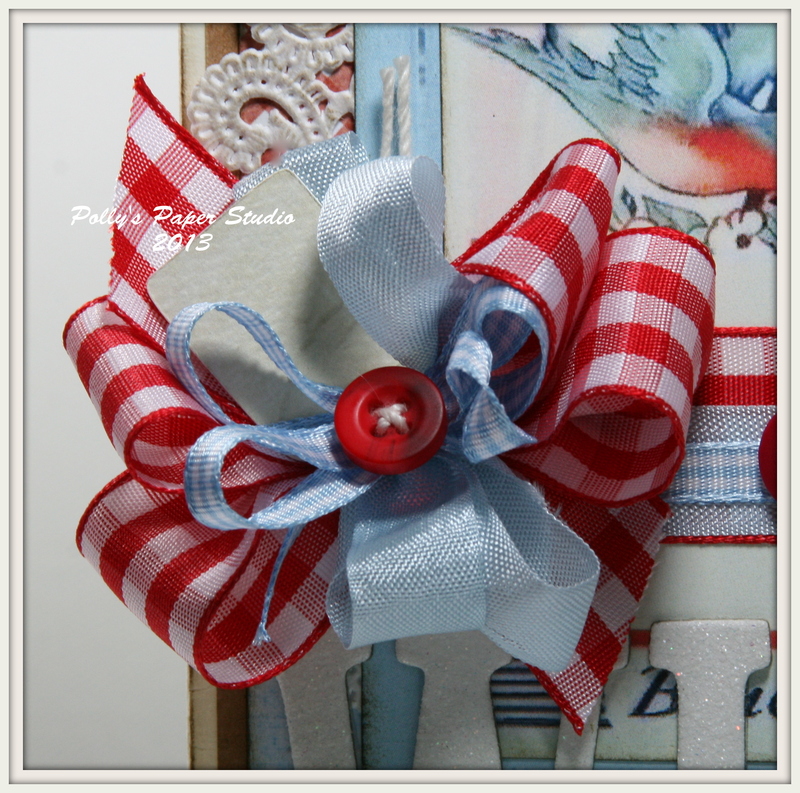 This bow is super poofy made with a wide Red Gingham, skinny Blue Gingham, and Blue Seam Binding. Are these not the sweetest little birdies???? Good morning to all! I’m just popping in to share a Birthday card I created this week. 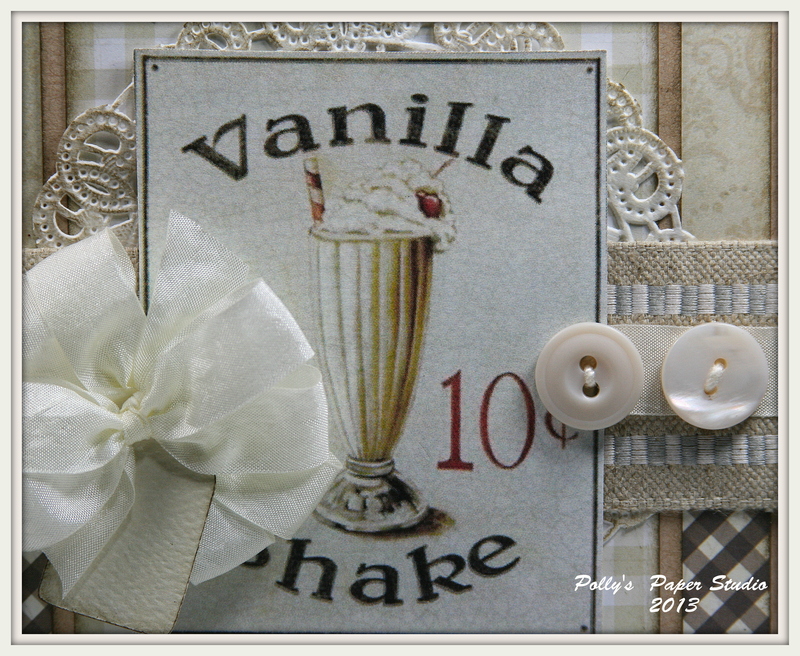 It got a cute whimsical vintage image and lot’s of shabby chic style. I just love how that chocolate brown check anchors the pale creamy layers. We’re heading into another scorcher of a day here in Lower Michigan and humid too. The weatherman says we’re under a “heat dome” now doesn’t that sound like a great name for one of those crazy wackadoo movies on Sy-fy channel I love to watch??? The core of the earth is cracking and heating up the surface…so they send down a drilling machine that shoots superglue into it…lol I should have been a writer lol. Anyhoo…enough of the shenanigans…time to get serious. 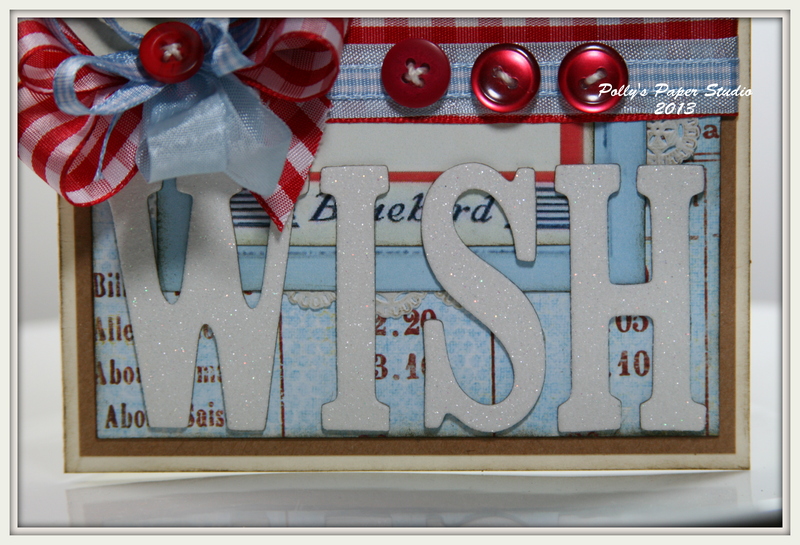 Here is my card for the newest challenge at Really Reasonable Ribbon. It’s a Sizzlin Summer Colors theme. What’s more summery than a pea pod seed pack with hot pink ribbon???? My super poofy bow is made of layered Apple Green Satin, and Random Dot on Hot Pink. 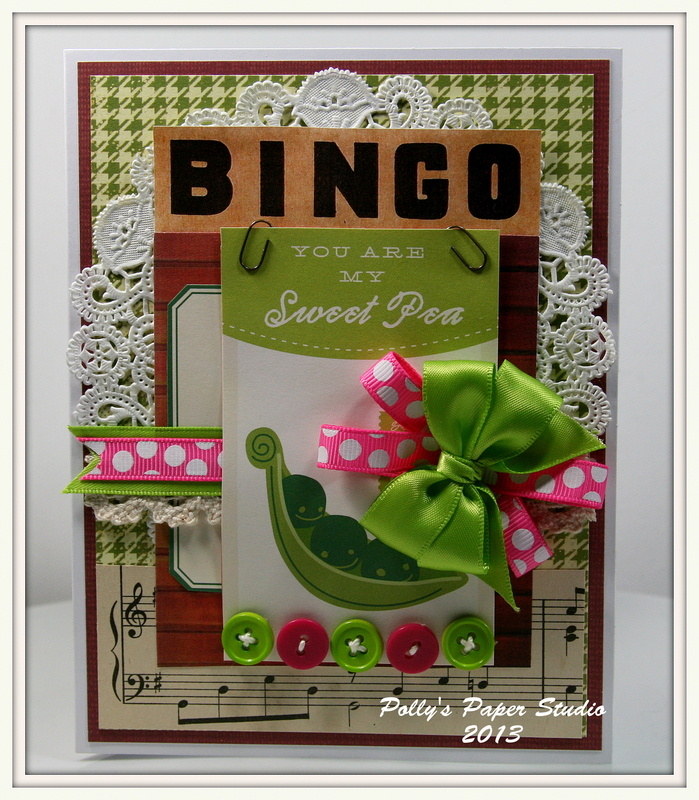 You should hop on over and check out the challenge….it’s easy to add your project and show off your own Sizzlin Summer Colors! Hello and happy Sunday all : ) I’m enjoying myself a slow summer day….a little sleepin in…a little housework…dinner is in the crockpot…waiting for kiddo to call to get picked up from camp. It’s all good. Perfect timing for a summer inspired card right??? EEEEE I love this card! Okay here is the down load….all paper from the scarp and salvage box….who’s a thrifty scrapper??? This girl! Fun vintage image…just right for a Birthday, Get Well, I Love you or an I’m thinking of you card. I did a very haphazzard stitch for a very handcrafted look. Load’s of inking too and a pretty little doily. Best. Bow. Ever. Really. 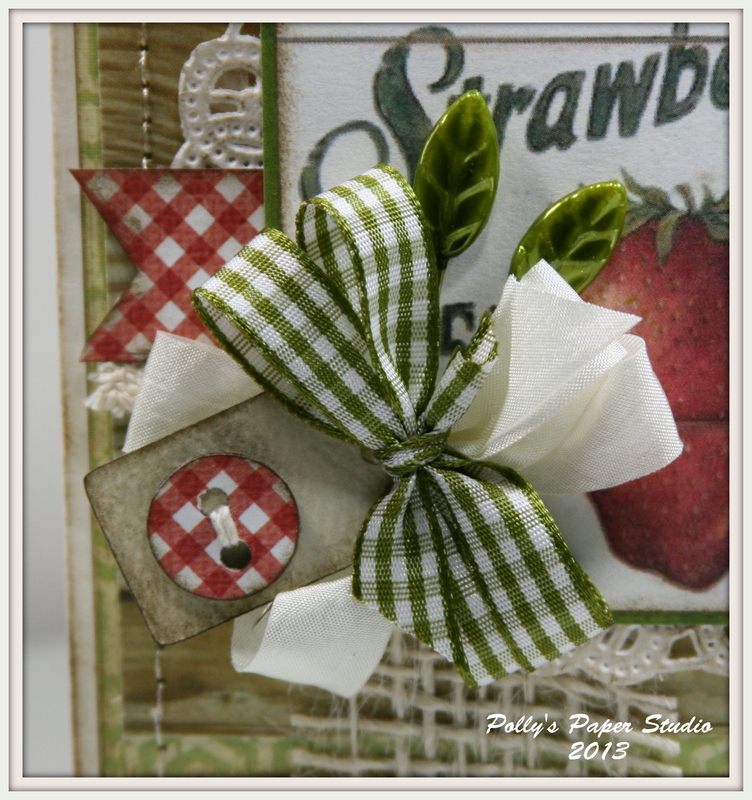 1st layer…Cream Seam Binding…2nd layer….Green Moss Gingham….3rd layer…very well inked tag…4th layer…awesome chipboard button. To top it all off theres 2 sweet little leafy pins from Maya Road : ) This is my happy place bow : ) All trims here are from my favorite Really Reasonable Ribbon. I’m off to whip up a nice loaf of bread to go with our dinner…vegan chicken and dumpling….oh yeah. Well I hope everyone is enjoying their summer so far…I know I am…we love the warm weather. 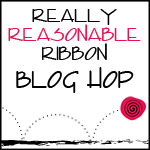 It’s also Blog Hop time with Really Reasonable Ribbon and I could not be more excited with Bonnie’s Citrus Ribbon Club selection. I just found a super sweet pic of my great niece that has her modeling a totally adorable ruffly swimmy suit and the colors match the club pack perfectly. I know they are not my usual…but I’m really happy with how it turned out. Here is the wonderful Citrus Ribbon Club Assortment. Okay…that’s it for my Citrus inspired project….now you’re off to the amazing Gloria…you are gonna love her project…I know I do! We are on a roll with our Christmas in July projects. 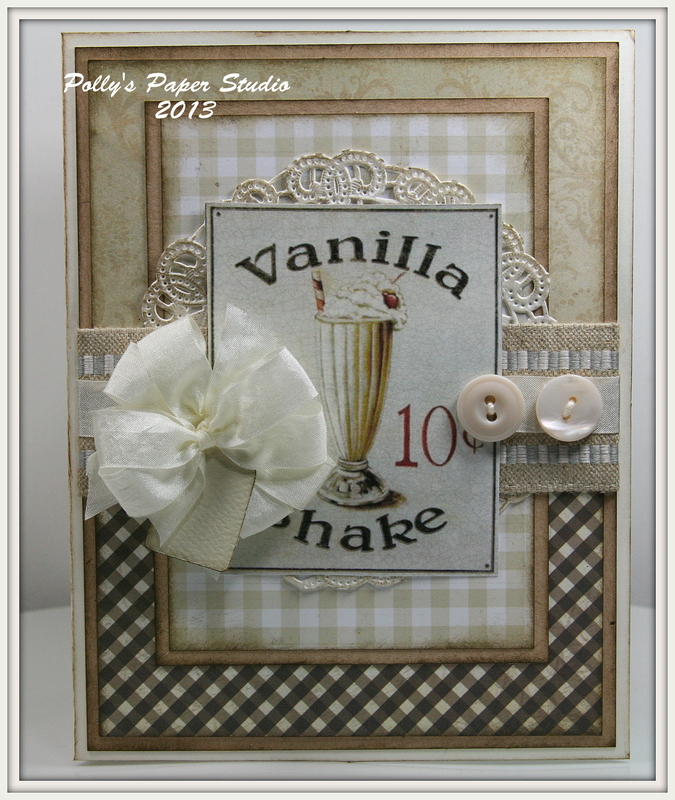 Next in the line up is fun retro inspired cards with 50’s flair. 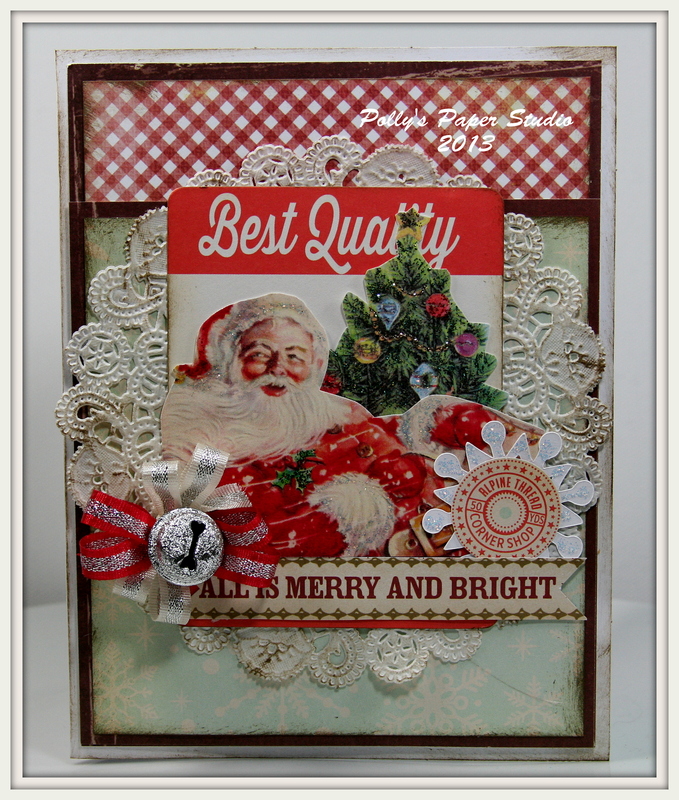 I’ve added lot’s of Stickling, layers and layers of pretty patterned papers and trims from Really Reasonable Ribbon. In other big news…. Bonnie is having a super awesome 3 day sale at Really Reasonable Ribbon. Click here to check out the details and pick up your coupon code to get the great discount.